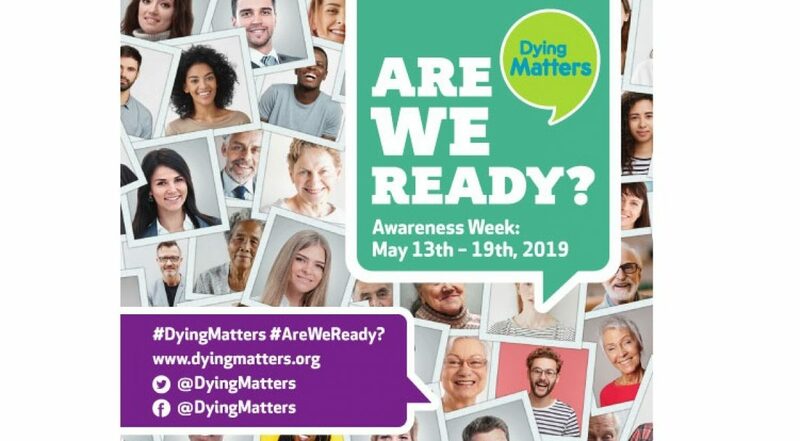 This year’s Dying Matters Awareness Week runs 13-18 May 2019 with the theme Are We Ready? Are we ready to cope with bereavement ourselves: what is grief like? Who can I talk to about it? What might help me to cope? What support can I expect from family and friends? Where can I get further support if I need it? Are we ready as a family – have we put things in order that would make things easier for our family in bereavement? Are we ready in our community to offer support to those who have been bereaved? What can we do ourselves, and where can we get extra help on others’ behalf? Are we ready to support an employee or colleague facing bereavement? Are we ready as a health or social care organisation to support our service users when they are bereaved? Are we ready as a society to support an increasing number of bereaved people? For more information about the Week and ways in which you and your organisation can get involved, visit the Dying Matters website.